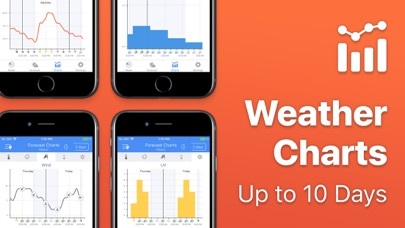 Track heavy storms, hurricanes or other weather phenomena up-to 10 days. See highly detailed & accurate weather conditions and stay informed. Avoid doing picnics on heavy storms, or going back from your routine outdoor run cold & soaking wet. With NOAA Radar, even minute-by-minute unexpected weather changes are no longer a surprise. 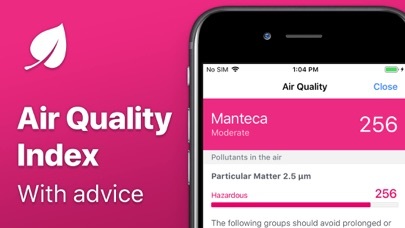 Now with Air Quality Index, so you can do your outdoor activities when the air pollution is at minimum. 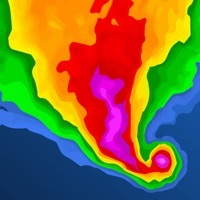 WHY YOU’LL LOVE NOAA Radar • Live Rain and Snow Radar • Track Hurricanes • Extreme Weather Alerts • Air Quality Index • Warnings on Map (floods and hurricanes) • Weather Forecast Daily & Hourly • Charts for; Temperature, Precipitation, Wind, Pressure & UV Index • Visually impressive & intuitive WEATHER ALERTS* Get informed about extreme weather conditions! Receive a notification at the moment that your location is at risk for dangerous weather. Take timely measures to be save! Access detailed information and keep track of real time weather conditions. *US Only. UNDERSTAND HURRICANES Stay on top of the hurricane’s development, its predicted path (and changes of such), wind speed, wind quadrants, and much more. And the best part? All of this is visual! Our intuitive radar displays the hurricane movement in perfectly viewable & understandable way. SHARE THE WEATHER TO PLAN PERFECT EVENTS Are you ready for that important or special day? Prepare your friends, family, colleagues…anyone by sharing the Weather! 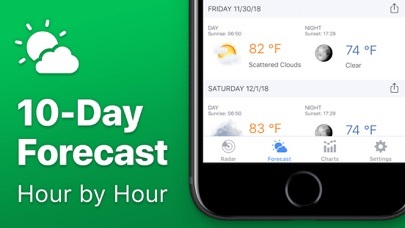 At a glance, share a brief overview of the forecast or choose to send a more detailed prediction to your contacts. Share the weather, wherever you are. GO OUT WHEN THE AIR QUALITY IS RIGHT Check the air quality of any location with a weather station nearby in the US and Canada! We give you advice on how to react on the air quality according to the Air Quality Index, furthermore we explain the amount of pollution and the composition of the air. 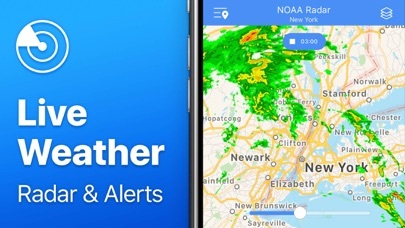 CLEAR & NEAT CHARTS FOR ALL WEATHER UPDATES NOAA Radar provides you with accurate charts concerning the development of the most important key weather-related values in any location you wish. This gives you a clear view of: Temperature, Precipitation, Wind, Pressure, and UV Index. SUPPORTED COUNTRIES AND REGIONS United States, Canada, Mexico EUROPE: France, United Kingdom, Germany, Spain, Portugal, Netherlands, Switzerland, Norway, Sweden, Finland, Denmark APAC: Japan, Hong Kong, Korea, Taiwan & Australia • WE LOVE FEEDBACK • As always, we appreciate your feedback. Please keep sharing your experience to feedback@impalastudios.com Enjoying NOAA Radar and want more features? Please show us some love by giving a 5 star review, so we can keep updating with great new features! Always take the weather with you! If used to be that the NOAA app was fantastic at predicting weather and I could track where a storm was coming from and calculate about how long it was going to take to get to my area. No more. I can somewhat see where a storm is, but they don’t seem to have up to date information. In addition, especially when Im driving I need to know when the rain is going to change to freezing rain, etc. The little diagrams could be colored to show that. A timeline could show that. I would like to get warnings if there has been flooding. I would like to know about sudden temperature changes. I am planning on take my driving trips and need good information to stay alive. I use this whenever I am contemplating going golfing or already on the course; it has saved me from getting wet many times. When I first got this App in 2014 it was great then after a year not so good and I forgot about it. I found it on my app list and reinstalled it and it doesn’t work anymore. Major thunderstorm out side and the app shows not a hint of the lightning and rain outside. To me the app is broke and they don’t care. I’m guessing the radar must be delayed which results in a pretty worthless weather radar app. 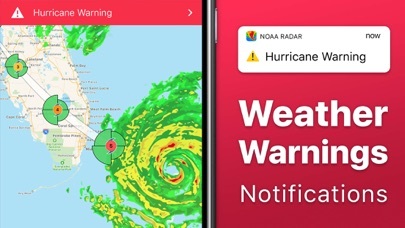 I assumed this app would provide current radar data, but I have many screenshots from several different dates comparing the radar in this app with several other apps (both free and paid) which illustrate just how bad this app is. Too bad I can’t include them in this review. It looks to me like the “current” radar lags behind reality by about 30 minutes. Easily the worst purchase I’ve ever made. Great job of information for us weather geeks Thanks!! I love this ap. Always accurate and wonderful graphics.